Rolf completed his bicycle trip. On May 9, he flew to New Orleans, then bicycled up the Mississippi River Trail. On July 1, he reached the headwaters of the Mississippi at Lake Itasca in Minnesota. From there he continued west across North Dakota. On July 9, he crossed the border into Saskatchewan. 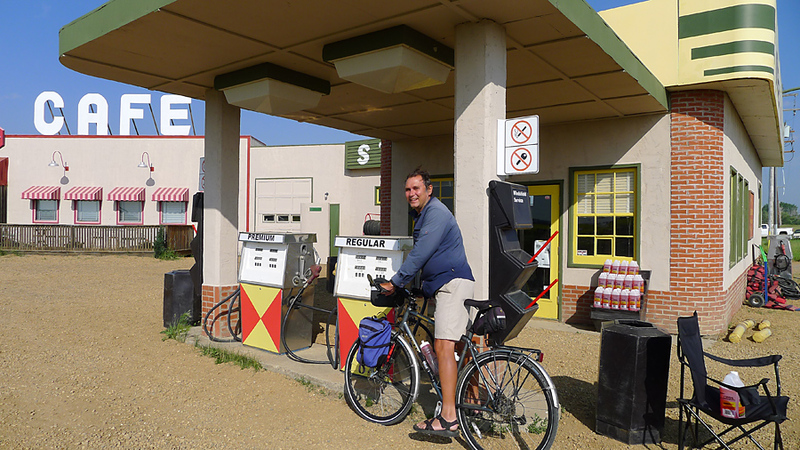 The next day, he made it to the little town of Midale, 80 km from the border. Saskatchewan is prairie. And while those vast yellow fields of canola are beautiful, the headwinds are challenging. 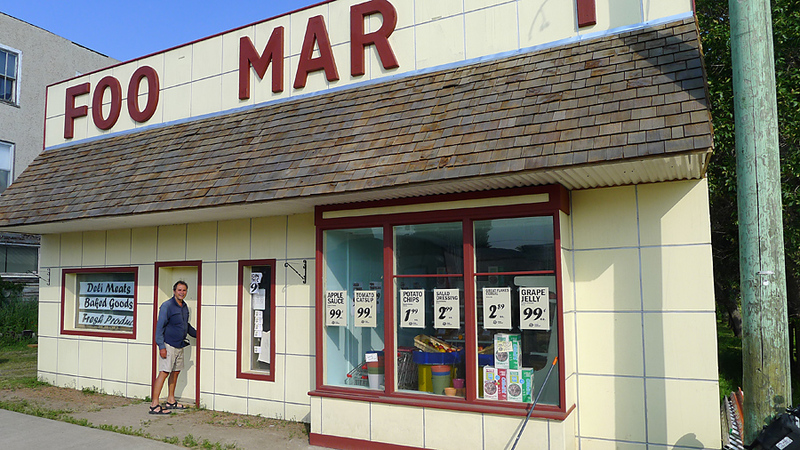 Rolf decided to finish in Midale. 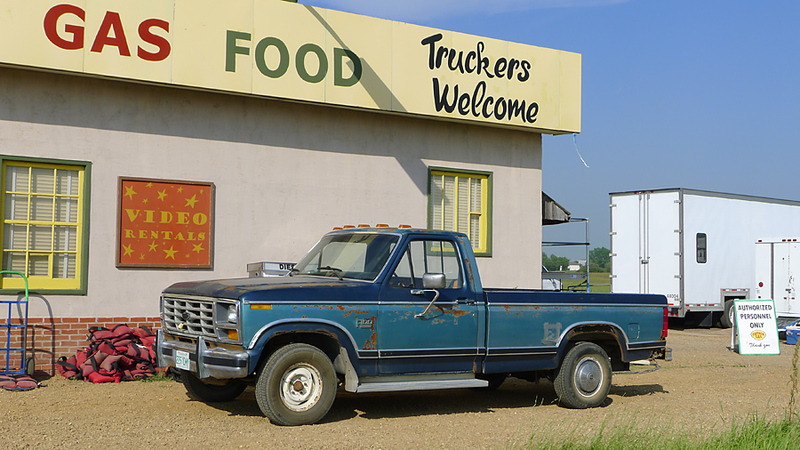 The next morning, Friday, a local gave him a ride to Moose Jaw. 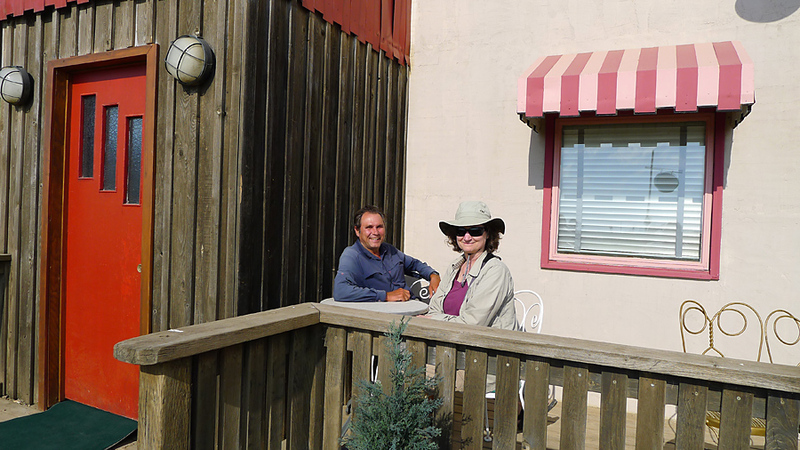 On Saturday, I drove from Calgary to Moose Jaw and met him there and then we toured “Dog River”, half an hour south of Moose Jaw. 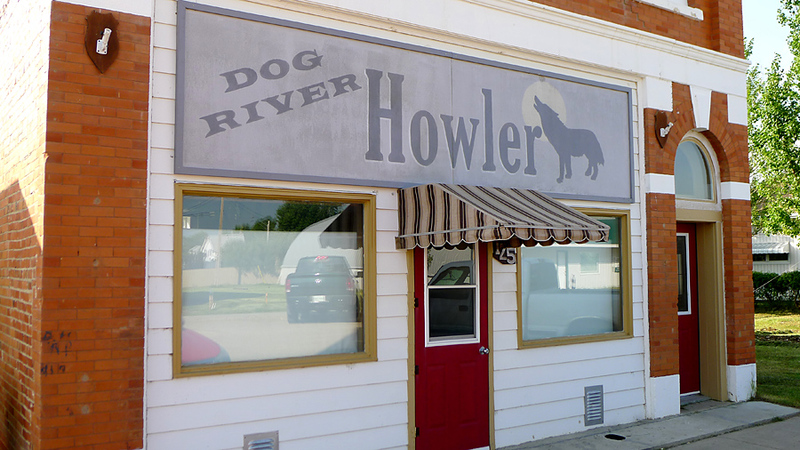 Corner Gas is set in the fictional town of Dog River, which is really the little town of Rouleau, Saskatchewan. 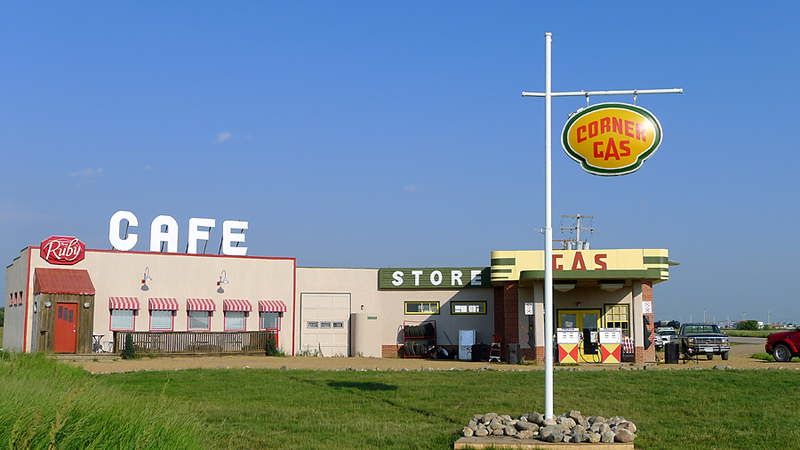 This is Corner Gas. 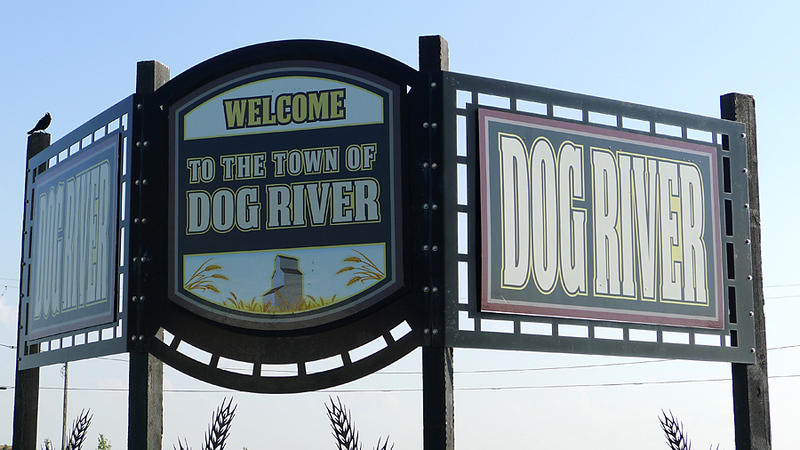 Rolf and I had a perfectly sunny day to visit Corner Gas and Dog River. 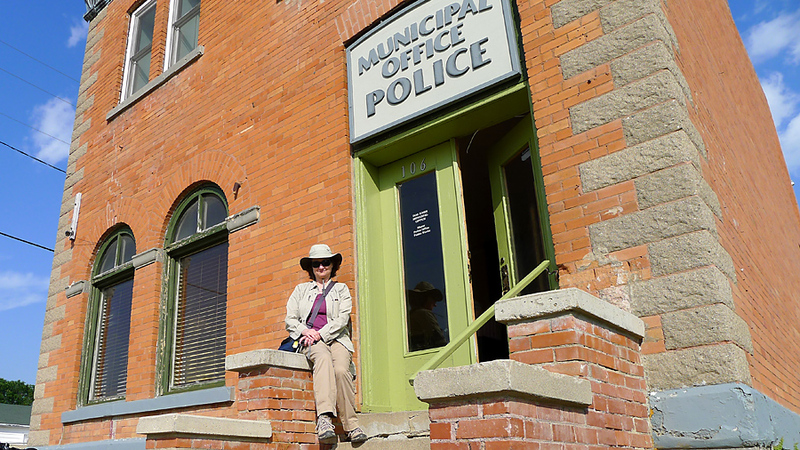 Here I am at the Police Station where Davis and Karen hang out. Let’s not forget the grocery store. Behind the set, you can see the movie trailers. Rolf is posing in front of the gas pumps. The place looks so real that people sometimes stop while looking for gas. 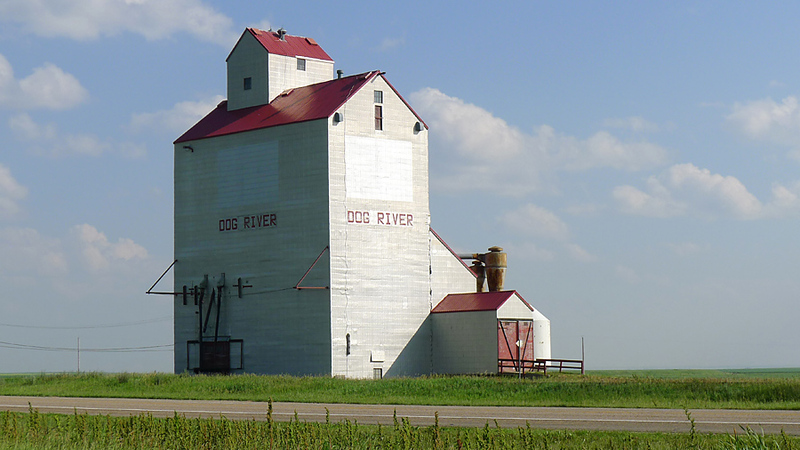 And across the road from Corner Gas, the Dog River grain elevators. 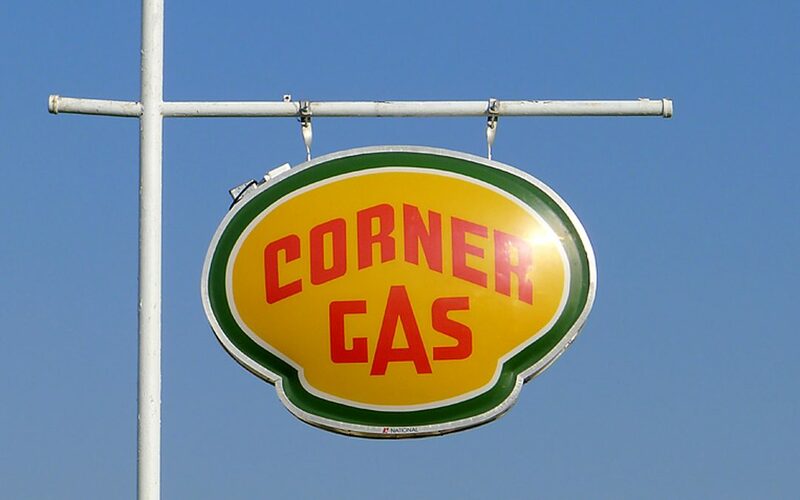 Have you seen Corner Gas? Are you waiting for the movie? Who is your favourite character?